Associated Press Rudy Giuliani clarified Thursday a long-standing denial of collusion with Russia during the 2016 campaign. There was none – by Donald Trump, he said. 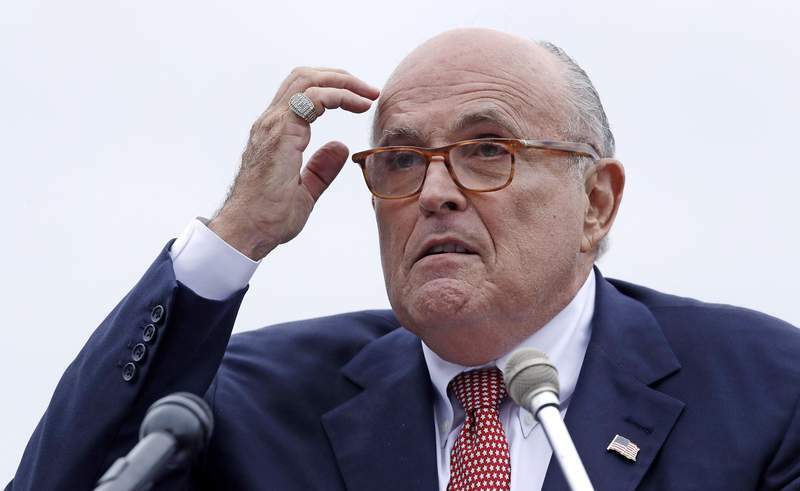 WASHINGTON – President Donald Trump's lawyer Rudy Giuliani now says he “never said there was no collusion” between Russia and members of Trump's 2016 White House campaign, contradicting public positions that he and his client have taken. The comment reflected a stark turnabout from long-standing denials by the White House and Trump advisers of improper collusion, and it underscored how the president's lawyers have adapted their message and defenses as additional revelations have emerged. In November 2016, for instance, Trump spokeswoman Hope Hicks said, “There was no communication between the campaign and any foreign entity during the campaign.” Trump has repeatedly insisted there was no collusion during his White House run. The comments on collusion came after Giuliani was confronted with prosecutors' allegations, detailed in court papers this month, that former Trump campaign chairman Paul Manafort had lied to investigators about sharing campaign polling data with an associate whom U.S. authorities have tied to Russian intelligence. Giuliani repeated to the AP on Thursday that there was no collusion “connected to Russian hacking” and that Manafort's sharing of polling data had nothing to do with the campaign or the president.